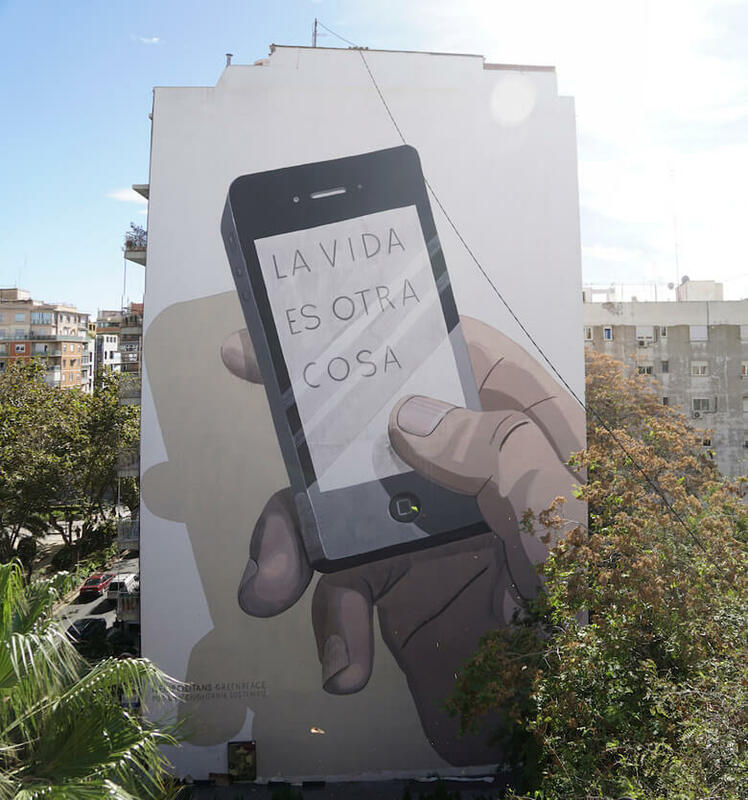 Escif is one of the most controversial and original national urban artists of Spain. But also, through the concepts of his works, we can distill a claiming ideology that is positioned in favor of social justice and conscience. His last major intervention, has been made in the context of an action promoted by Greenpeace that aims to launch a message of ecological awareness from a very specific perspective: cities as an axis of struggle against climate change. The intervention of the Valencian aims to inspire an idea of ​​change from certain customary behavior in contemporary society. 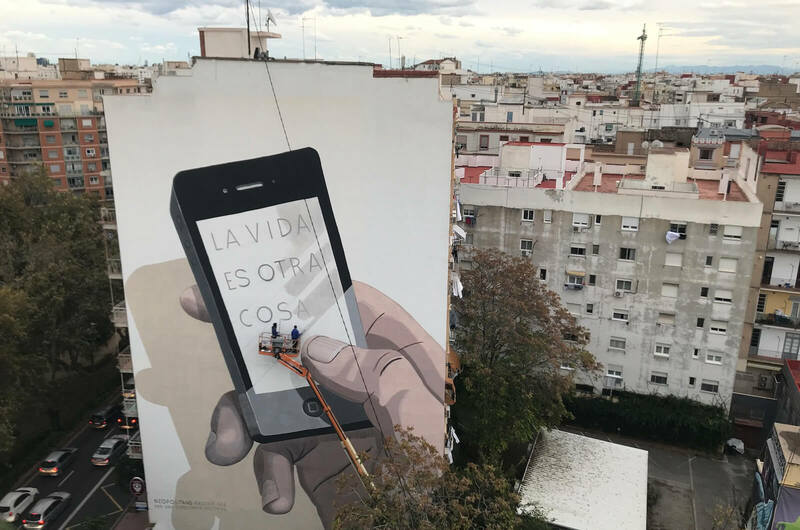 And, as usual in the artist’s work, the piece is a squeaky ironic game exaggerated by the subtle seriousness of Escif’s style. 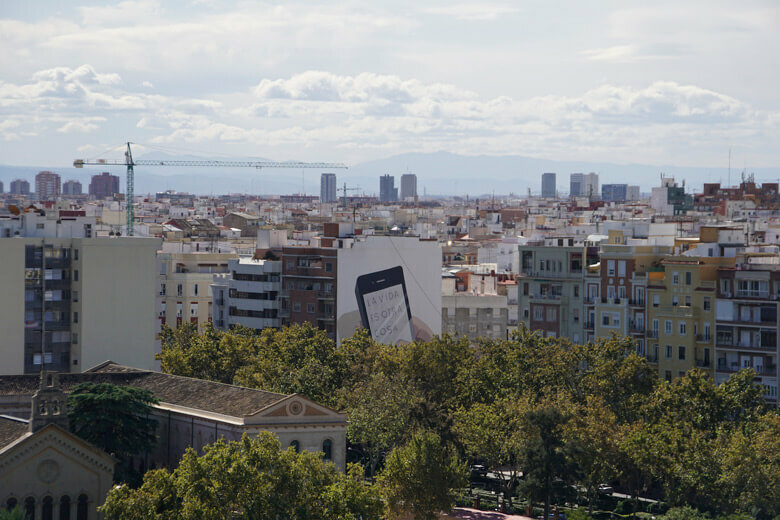 The wall, measuring 20 x 30 m, is located in the heart of Valencia, and more specifically on the facade of a building assigned by the Barreira A + D Center for Advanced Design Studies. Action produced by Antonio G. Mora through Dayton Hunters.